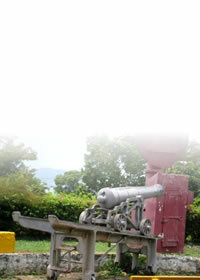 Welcome to the JNHT St. Ann Heritage Sites. Our Lady of Perpetual Help - Only the Church walls were built as in 1534 the Spanish centre of Government was moved to Spanish Town. St. Ann's Bay Fort - erected about 1750. Bellevue Great House - there are two separate Taino sites on the property. Belmont Great House - owned by John Davis during the last century. Bromley Great house - made of wood with cut stone foundation, dates from the Eighteenth Century. Liberty Hill Great House - Liberty Hill Plantation was first listed in the Crop Accounts in 1786 as a pimento plantation. Ramble Great House - part of the Ramble Estate, previously known as Finger Post. Roaring River Great House - good example of the architectural re-adaptation of classical Georgian into a tropical setting. Seville Great House - is symbolic of the English period. 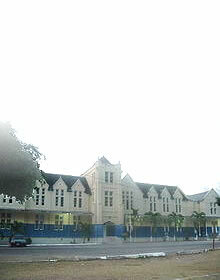 York Castle Great House - The York Castle High School which now stands on the site was established there in 1874. Edinburgh Castle - as the remains indicate, comprised a small rectangular building with two circular loopholed towers at diagonally opposite corners. 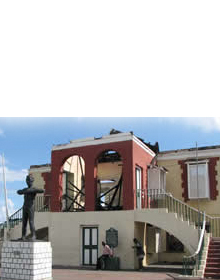 32 Market Street - the birthplace of Marcus Mosiah Garvey, Jamaica's first National Hero. Seville Heritage Park - an ideal spot for picnics, relaxation, and for the adventurous. Cave Valley Chimney - probably built in or about 1872 as the plaque on the chimney bears that date. Drax Hall Waterwheel - Drax Hall Estate was founded in 1669 by William Drax.